Ingredients: Wine Vinegar, Concentrated Grape must. Naturally contains sulfites. 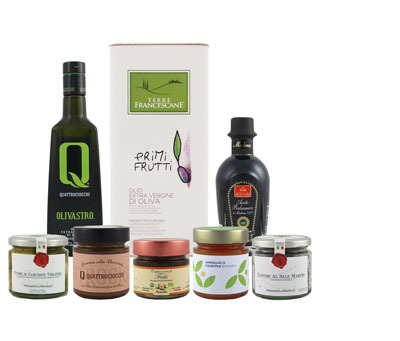 Specializing in the production of high quality Balsamic Vinegar of Modena, Acetum is considered to be at the top of the industry and represents over 20% of the total production of Consortium Balsamic Vinegar of Modena. Based in the Motta Cellars, a historical building established in 1906 in the town of Cavezzo, Acetum completely restructured the cellars to host the vinegar production with top-of-the-line barrels and casks of various sizes and types of wood. At the base of the commercial success of Acetum is the care for quality. The entire production is made according to ancient recipes and under the control of a modern in-house laboratory which grants consistency and safety. Acetum's continuous studies and research of raw materials and production methods is aimed to always obtain the best quality and the highest possible customer satisfaction. Made from reducing balsamic into a thick, syrupy glaze. Unfiltered vinegar made from fermented red grapes of Italy. Pressed Trebbiano and Lambrusco grapes and aged at least 25 years. Thick, syrupy balsamic glaze combined with real figs.